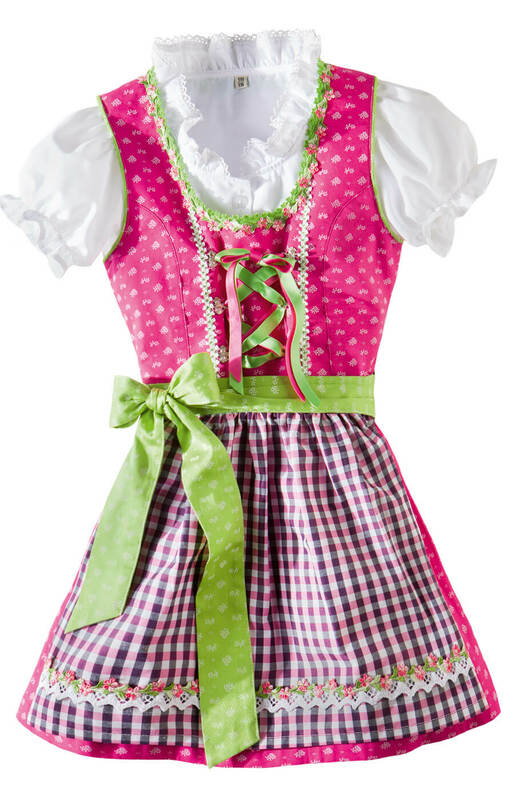 Girl's Dirndl Edita in Pink. This beautiful blue Edita girl’s dress is made from a cool and comfortable blend of 50% cotton and 50% polyester for the perfect fit and durability. 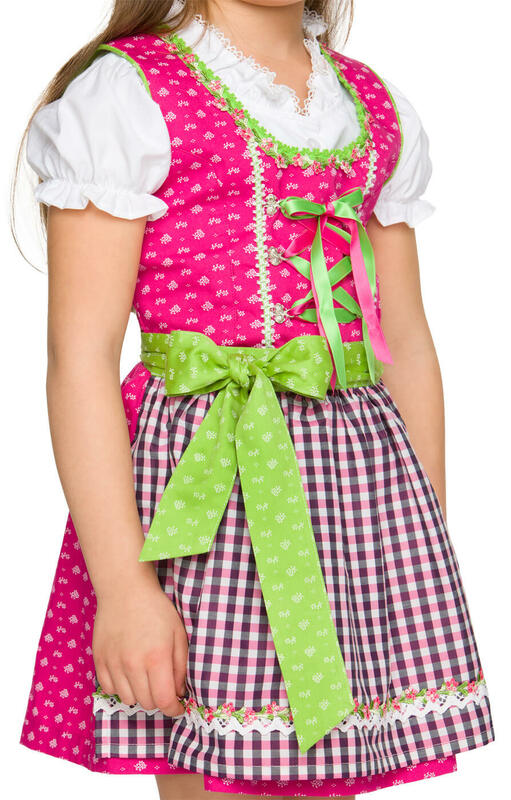 The dress has been created in a traditional German design that is sure to be ideal for any little princess. 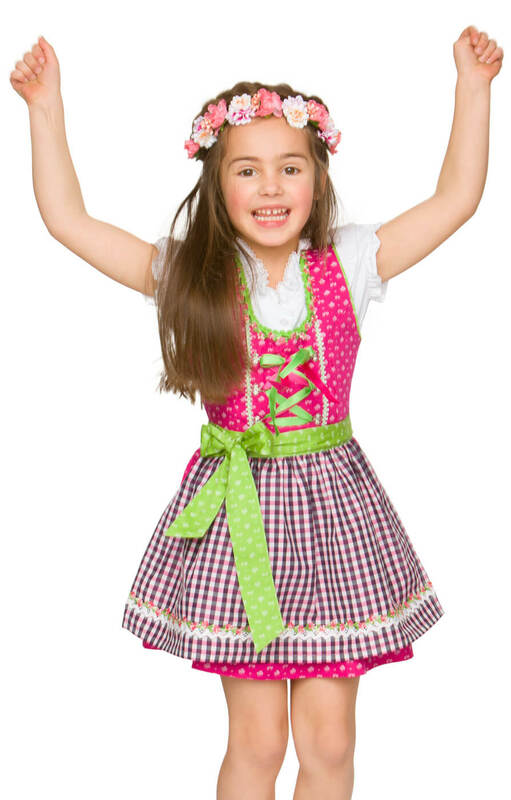 The pink of the dress is printed with a cute white flower pattern, while the dress features a light pink, black and white chequered apron that ties onto the dress with a green ribbon that is also printed with the white flower pattern. The dress is sleeveless and is worn over a short-sleeved white blouse.